What do I need to do from here? Please click here to follow the prompts on how to arrange hire of your Academic Dress for your Graduation day. What does this mean to you? Your hire fee for your Academic Dress and any donation you may make is fed back into the Academic system in the form of Scholarships and prizes offered to students and staff in Bay of Plenty and Waikato tertiary institutions. Click here to read more. 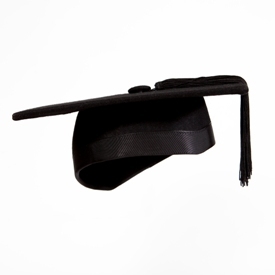 We understand some Graduand's will need assistance with getting their Academic Dress correct for their Graduation Day. Along with the friendly staff at Ruakura Road who are always happy to assist, we have compiled a short video which demonstrates how your Academic Dress should be worn.